Know the dangers of posting inappropriate or negative comments online. 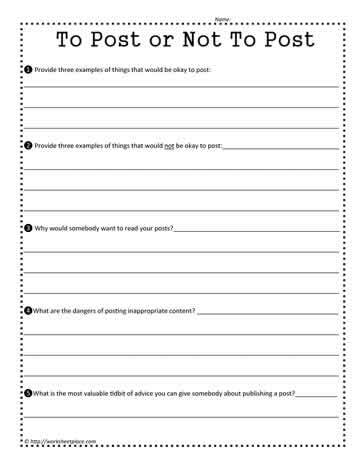 Use this worksheet with students in grades 5-8 to determine what should and shouldn't be posted. Students need to understand how inappropriate posts can cause negative impact later on.